If you are often handling PSD files on your system, you might have issues to preview those on your Linux Desktop system. For the GNOME Desktop, the file-manager does not display thumbnails of the images nor do those preview with the eog image-viewer. Jan Dudek had stepped up and wrote gdk-pixbuf-psd. 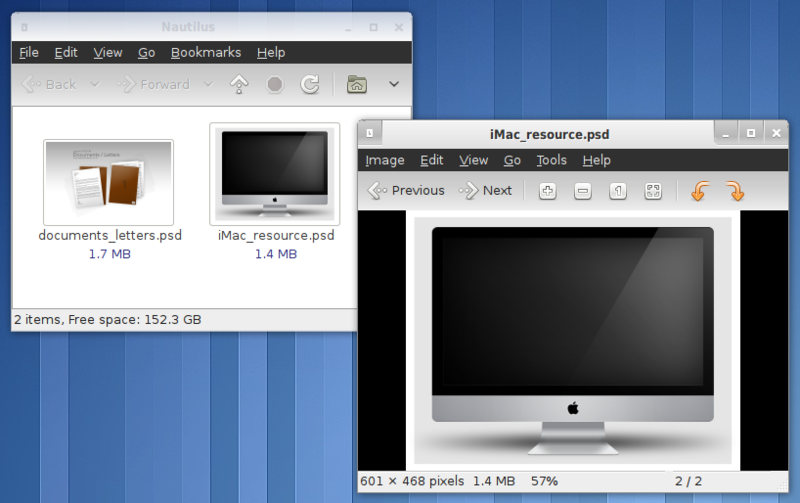 This is a pixbuf loader which enables all GNOME applications to display PSD files. However this project never had an official release and it appears distributions did not pick this nice feature up. He also stopped working on the project. Therefore I took the sources, added a proper build system, <.repo file>" then "zypper in gdk-pixbuf-loader-psd"" href="http://download.opensuse.org/repositories/home:/FunkyM:/gimp/">packaged it for openSUSE and created a first release of gdk-pixbuf-psd 0.1.0 for download.